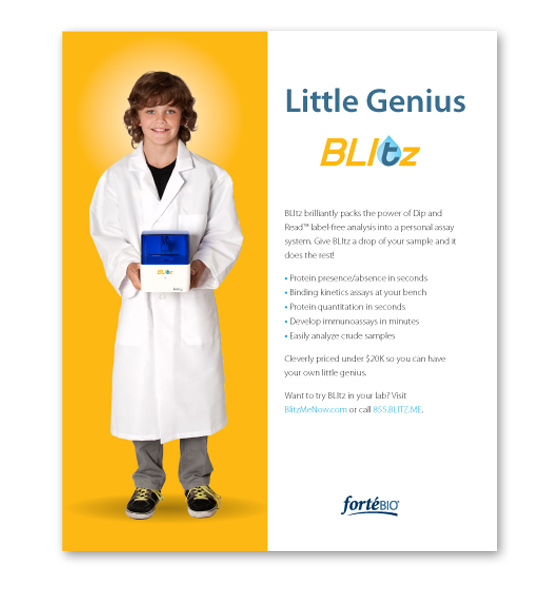 ForteBio needed to relay multiple value propositions without muddying the message, and get prospects that regarded label-free technology as an impractical option to immediately grasp that BLItz was a real option – not just another highly automated, complicated, expensive system. The ad campaign also had to be constructed for how BLItz would be sold: exclusively online rather than through a sales team. 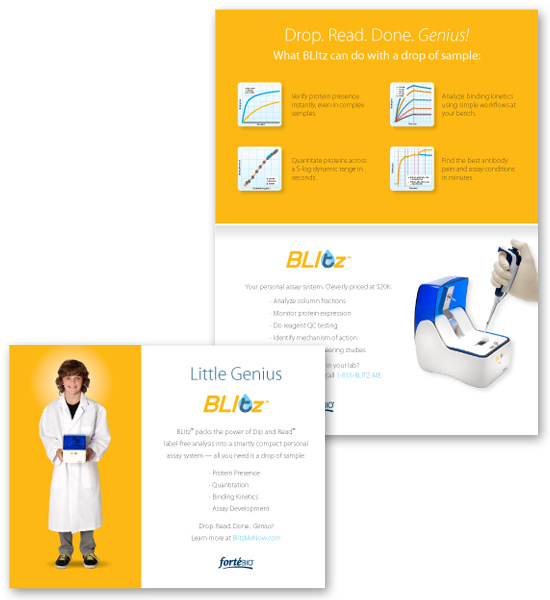 Ads were crafted using visuals that easily conveyed small and simple without words. Headlines and supporting copy expanded on these and other key messages. This cover wrap placement (front and back covers of an industry journal) worked as two individual ads, yet told a cohesive story.